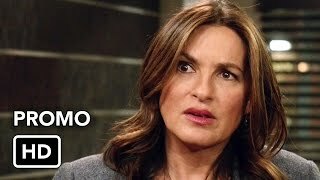 Law and Order SVU 20×19 “Dearly Beloved” Season 20 Episode 19 Promo – The SVU investigates a he-said, she-said case when a woman crashes a wedding to accuse her therapist of sexual assault.. Starring Mariska Hargitay, Kelli Giddish and Peter Scanavino. Guest starring Shiri Appleby (Kitty Bennett), TJ Thyne (Dr. Joshua Hensley), Maureen Sebastian (Lana Stallworth), Poppy Liu (Hannah Berkowitz) and Garrett Turner (Bo Albrecht). Directed by Lucy Liu.